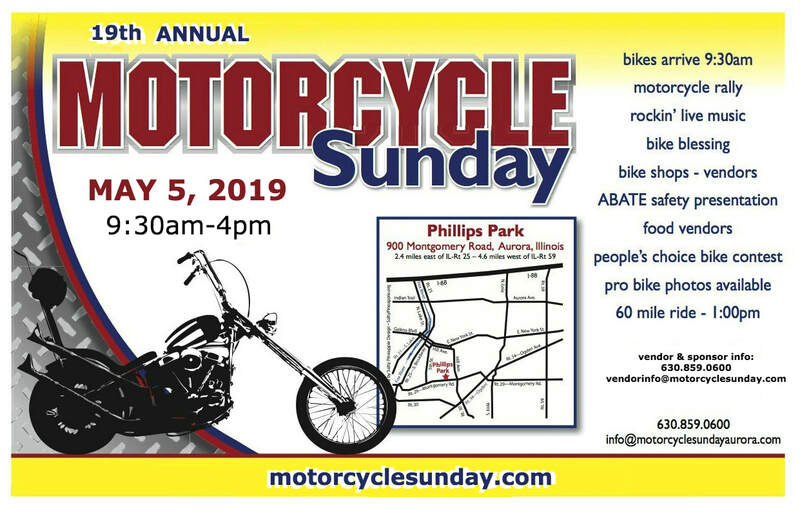 Motorcycle Sunday is held at Phillips Park in Aurora IL. 900 Montgomery Rd, Aurora IL. When you enter an address in your GPS or Google Maps, use "Phillips Park, Aurora IL"